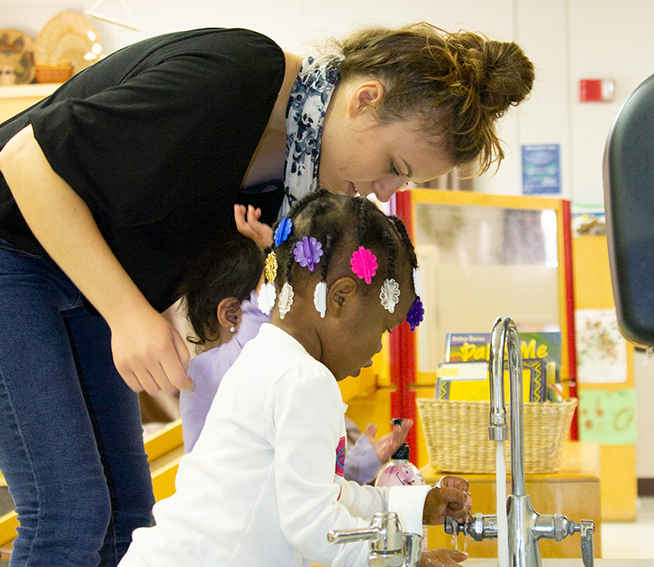 The Program for Infant/Toddler Care (PITC) at WestEd offers Trainer Institutes for educators, program managers, and other professionals responsible for training infant/toddler care teachers. These institutes help trainers deepen their understanding of each PITC module’s content and acquire skills in the integrated presentation of the concepts in the PITC videos and guides. In addition to covering major content areas, each Trainer Institute focuses on adult learning and teaching strategies. PITC Modules I and II cover the topics of Social-Emotional Growth and Socialization and Group Care. After completing the certification requirements, participants receive a certificate of completion from WestEd and the California Department of Education that recognizes them as trainers for the specific module in which they received training. Leading experts in infant development and care and faculty from WestEd’s Center for Child and Family Studies (CCFS) lead the trainings. Ronald Lally and Peter L. Mangione, CCFS Co-Directors, are among the experts. Visit the PITC Trainer Institutes web page for more information.